A top-rated Cardiff Emergency Locksmith should have a leading 24/7 response team that offers expertise in locks and security systems in Cardiff and its surroundings. The team should have several years of experience in all manner of security. Emergency Locksmith covers every type of security needs ranging from business to domestic premises locks regardless of their size. The best thing with pin-number locks is that locksmith can re-configure them to be opened by an existing key as long as the key is of the same form and design. Therefore, if you have many locks, you do not necessarily need to carry around a bunch of keys, all your locks can be re-configured to fit one key. Lock rekey is done through cutting series of notches in any of your keys, raising pins above the shear line. To configure new locks to fit an existing key, you change the pin patterns to match those of the key. Emergency locksmith takes the least time possible in lock-rekeying so as not to inconvenience clients. 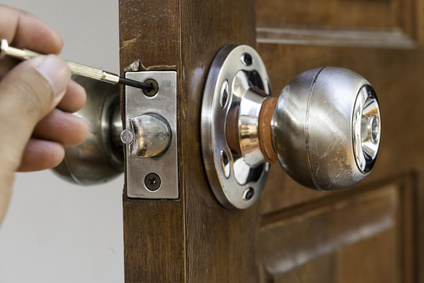 If your residential or commercial locks have been tampered with, or you just want to change the old rusty locks, the emergency locksmith is always available to work on your locks. It can be costly, overwhelming and frustrating to replace or repair your lock system; our locksmith response team will offer you these services 24/7 without overcharging ad delaying you access to your premises. Emergency locksmith provides domestic basic maintenance and repair, lock adjustments and bolt-work maintenance. Right security systems will offer total and secure control to your premises without inconveniencing you, your family or employees. Emergency locksmith is aimed at giving you the best security solutions; therefore you only have to state the areas you want access granted or denied, and it will be done in no time. Our team will give you the best system to allow your clients or employees access or keep off certain areas. Emergency Locksmith can provide you with highly secure locks that permanently increase resistance to intruders or compromise. The type of tertiary security locks that we offer are of unique design and configuration and will resist forced entry and any form of manipulation. The manner in which these locks are designed will make it difficult or nearly impossible for an intruder to open the lock without its original locks. If the intruder is to break into the premises through other means, it creates noise which may alert people around. Also, evidence will be left behind since the intruder will have to break in through a window or the entire door, also, a damaged lock is great evidence against suspected thieves. Emergency Locksmith installs panic bars that open through pushing the bar. The bar has a spring metal that swings open when pressure is applied to the bar; this latches the door allowing users to dash out of the premises. Therefore, in the case of any emergency, users can vacate the premises through security doors without having to wait at the door. A highly experienced team also installs electronic alarms to detect forced entry, fire breakouts among other emergencies. Emergency Locksmith will install the best systems to process entry requests and respond accordingly. Should there be any emergency case, the alarm system will ring and send signals to your phone or computer for appropriate action. The system automatically locks in or out any unauthorized personnel who may be forcing their way into your premises. The alarm detects, determines and deters any form of danger either at your home or workplace. Whatever needs you might have, our emergency locksmith team is available anytime to offer you are the best service. The company covers all your security issues from your domestic, business and school safety requirements. Our prices are affordable, and we take the least time possible to deliver. Furthermore, we all need fast and efficient security systems, look no further other than a reliable Emergency Locksmith team of experts. CONTACT US TODAY FOR QUICK AND CHEAP CALL-OUT! !